Recognized as a model kindergarten by the Chaoyang Ministry of Education, The Family Learning House is a group of virtues-based, bilingual preschools dedicated to acquiring knowledge and good character for the purpose of serving humanity. 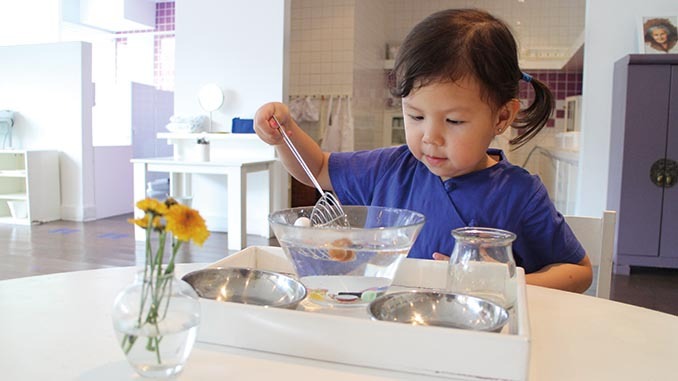 In addition to its “Day By Day Learning” character education program, which was developed by The Family Learning House Education Group, the schools aim to provide a stimulating Montessori, English, and Chinese integrated curricula within a nurturing and uplifting physical environment. The children’s creative capacities are inspired and developed through participative art and music programs, while they also learn to become global citizens by studying a different country and culture each month. Students also engage in educational outings relevant to their learning and meaningful community service projects. Regular school family events, parent coffee mornings, and learning workshops foster the development of a united Family Learning House community of students, parents, teachers, and caregivers. Address: Jianwai SOHO Campus: Beside Bldg 14, Jianwai SOHO West Area, 39 Dongsanhuanzhonglu, Chaoyang District. 朝阳区东三环中路39号 建外SOHO西区14号楼旁. Wangjing Campus: Block A, YuanyangWanhecheng, East of Yuhui Road, Chaoyang District. 朝阳区育慧东路远洋万和城A区. Facilities: Montessori classrooms with child-size kitchen, and library, certified Montessori learning materials, piano in each classroom, two outdoor playgrounds with vegetable garden and petting farm, art room and Multi-purpose room and parents’ coffee lounge.